Images credit & copyright: SpaceX. Live streaming links and mission information at the bottom. Check back for updates. LAUNCH ALERT! 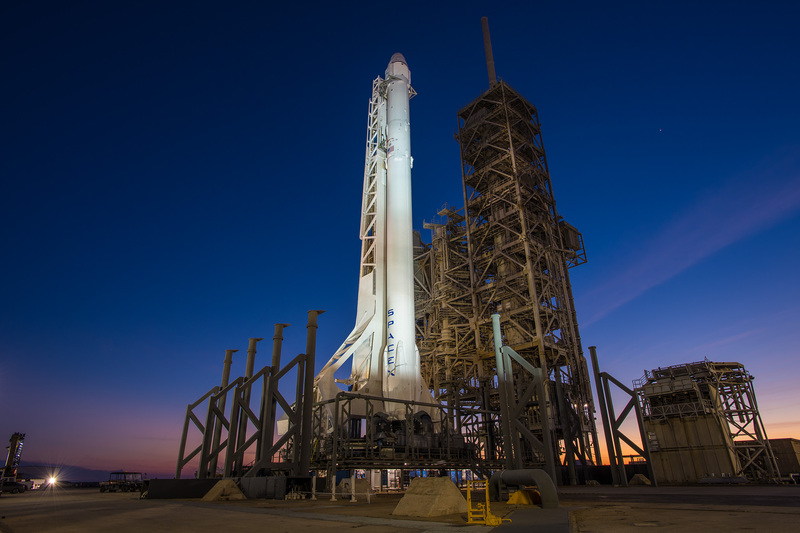 Monday, August 14, 2017 at 12:31 EDT (16:31 UTC), a SpaceX Falcon 9 (core 1039.1) will rise from NASA’s legendary Launch Complex 39A (LC-39A) as part of Commercial Resupply Service 12 (CRS-12 or SPX-12) to resupply the International Space Station (ISS). 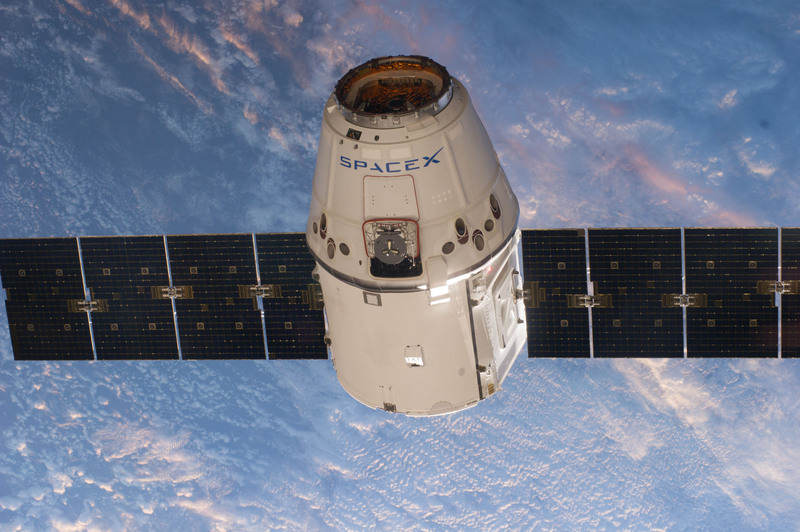 Dragon will be captured and berthed to the nadir (Earth facing) side of Station’s Harmony module (Node-2) where it will remain for approximately one month before returning to Earth. 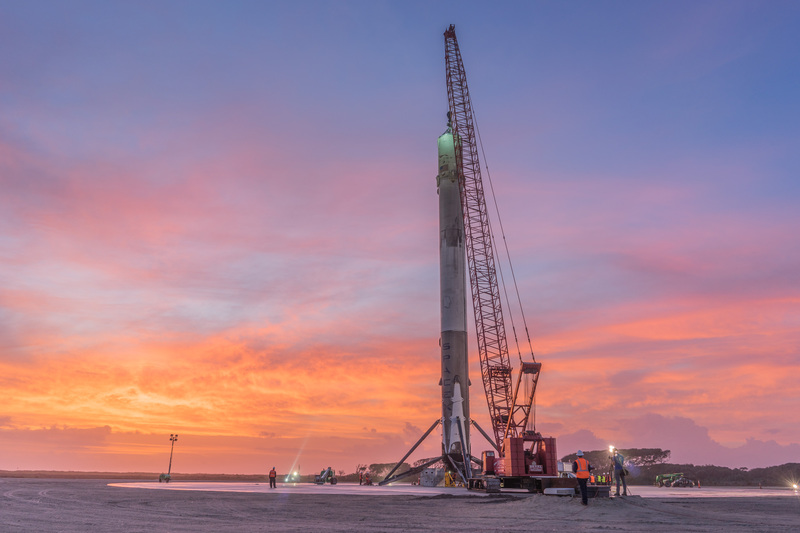 This will be SpaceX’s 11th launch of 2017, 39th Falcon 9 flight overall and the parameters of this mission will allow for a Return To Landing Site (RTLS) where the first stage of the Falcon 9 will return to, and land back at Cape Canaveral at SpaceX’s Landing Zone 1 (LZ-1) (former LC-13) allowing them to forego landing on their East Coast Autonomous Spaceport Drone Ship (ASDS), Of Course I Still Love You (OCISLY). 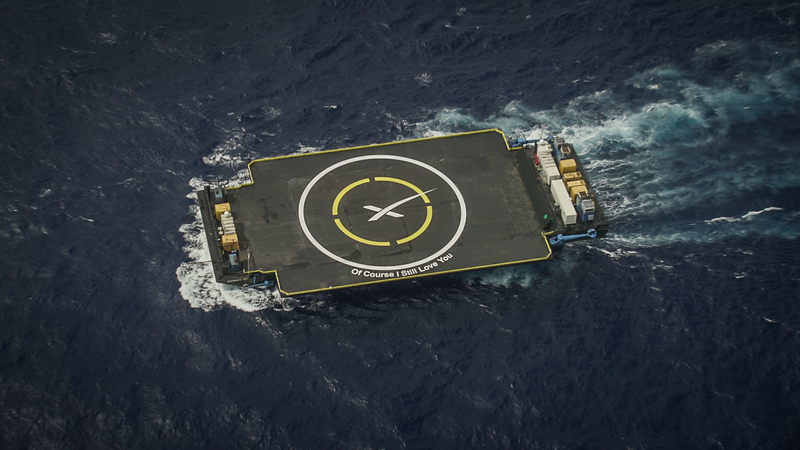 If successful this will be SpaceX’s 14th landing overall; 8 on drone ships and 6 on land. Autonomous Spaceport Drone Ships (ASDS): Were built at the Conrad Shipyard in Morgan City, Louisiana, the same place that NASA’s Pegasus barge was refitted to support the SLS program. Pegasus carried lots of equipment throughout the years but most famously the space shuttle external fuel tanks from NASA’s Michaud Plant in Louisiana to KSC. The Rocket: The greatly improved Falcon 9R FT rocket is a 2-stage partially reusable rocket with future ambitions of becoming fully reusable. 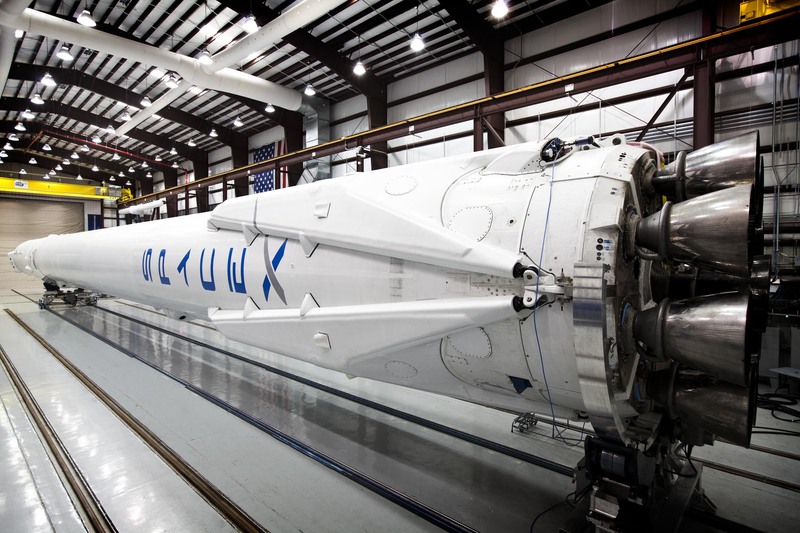 The new version is 3.7 m (12 ft.) in diameter and 70 m (229.6 ft.) tall which is about 1.6 m (5.6 ft.) taller than the Falcon 9 v1.1 or “Block 2” in order to house a higher volume fuel tank. It is also fitted with upgraded Merlin family main engines. They have replaced the 9 Merlin-1D (and before them were the 1C engines), with the more powerful Merlin-1D+ engines that will provide a thrust of nearly 694,000kg (1.53 million lb.) at sea level. Each Merlin-1D+ provides 180,000 lb. (81,600 kg) of thrust at sea level, which equates to roughly a 20% increase in overall performance. If you add that with the new process of densifying the fuel and improving the overall airframe, the total gain in performance is about 33%. Dragon Spacecraft (when in use) = The Dragon spacecraft is about 23.6 ft. (7.2 m) tall with trunk attached and 12 ft. (3.7 m) wide. It’s comprised of two main sections; the pressurized cargo area which can carry 388 cubic ft. of cargo as well as the unpressurized cargo area. The trunk (unpressurized area) carries 494 cubic ft. of cargo as well as the solar arrays. OR: Main Composite Payload Fairing (when in use) = the composite payload fairing is 13.1 meters (43ft) in length and 5.2 meter (17ft) in diameter. Dragon, along with Russia’s Progress & Soyuz, Europe’s (ESA) Automated Transfer Vehicle (ATV), Orbital ATK’s Cygnus and Japan’s (JAXA) H-II Transfer Vehicle (HTV), is one of only six vehicles that can fly to the Space Station. While Russia’s Soyuz is currently the only crewed means of reaching and returning from Station, SpaceX’s Dragon is currently the only means of returning experiments and supplies back to Earth from Station. Second Stage: Powered by a single Merlin-1D+ Vacuum engine with aluminum-lithium alloy tanks fueled by liquid oxygen and rocket grade kerosene (LOX/RP-1). The Merlin 1D+ are basically the same Merlin-1D engines used previously but instead of utilizing them at only 80%, they will now be operating at 100%. This stage can be restarted multiple times to place multiple payloads into desired orbits. For maximum reliability, the second stage has redundant igniter systems and has a burn time of 375 seconds. Interstage: a composite structure that connects the first stage to the second stage and holds the release and separation system. Its al all pneumatic stage separation system for low shock, highly reliable separation that can be tested on the ground, unlike pyrotechnic systems used on most launch vehicles. Core/Boost Stage is powered by nine (9) Merlin-1D+ engines in their circular “octaweb” configuration with aluminum-lithium alloy tanks fueled by liquid oxygen and rocket grade kerosene (LOX/RP-1). The Merlin 1D+ engines are basically the same Merlin-1D engines used previously but instead of utilizing them at only 80%, they will now be operating at 100%. The core stage has a burn time of 180 seconds and is gradually throttled. Its 9 Merlin-1D+ engine system can sustain up to two engine shutdowns during flight and still successfully complete its mission. The first stage is fitted with four independently steerable titanium grid fins that help control pitch, yaw and roll during vertical decent. It’s also fitted with four landing legs that will extend before touchdown. Launch coverage begins Monday, August 14 at 12:00 EDT on NASA TV. 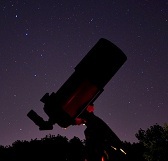 Rendezvous & capture coverage begins Wednesday, August 16, at 05:30 EDT. Berthing coverage begins Wednesday, August 16, at 08:30 EDT. 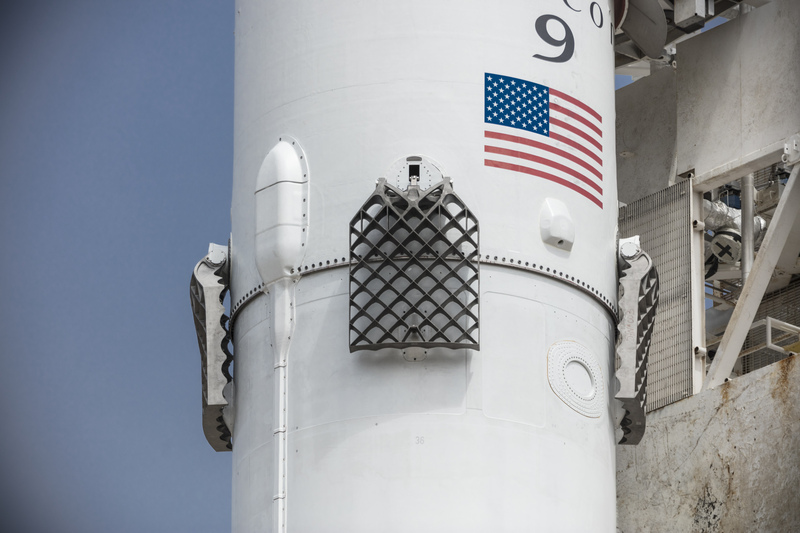 Image | This entry was posted in Images, Launches, News, People, Spaceflight Companies & Vehicles and tagged CRS 12, CRS12, DanSpace77, Elon Musk, Falcon 9, International Space Station, ISS, Kennedy Space Center, KSC, NASA, Space, Space Station, SpaceX. Bookmark the permalink.